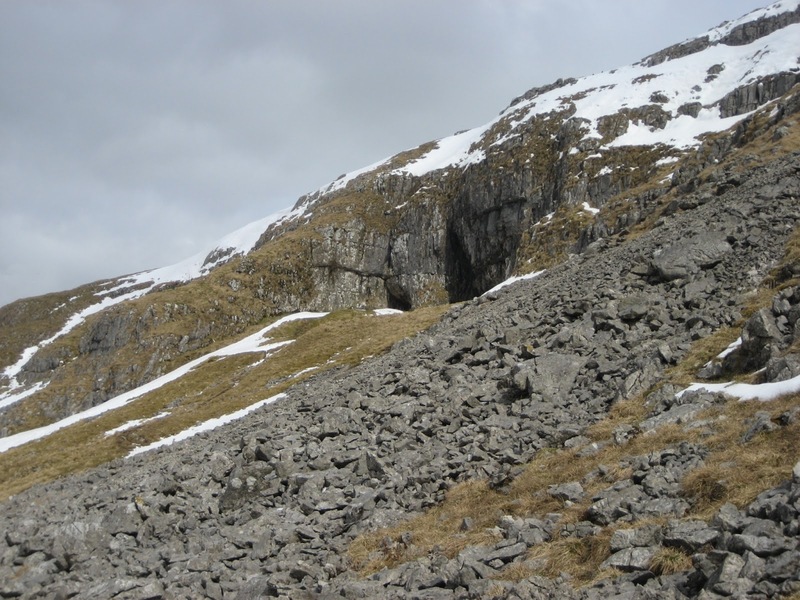 The series of caves in Langcliffe Scar, above Settle, were once at valley level and considerably longer. They are the remains of former phreatic passages that have been truncated (trimmed off and left high and dry) by erosion and successive glaciations. They are, therefore, of considerable age, and the famous archaeological work at Victoria Cave has helped to confirm this. 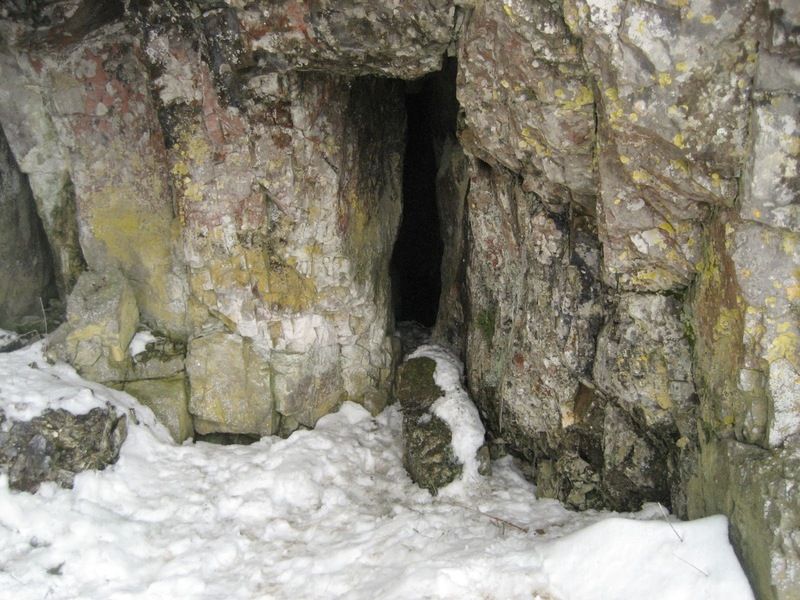 The cave was unknown until 1837, when tinsmith Michael Horner (1813-1878) wormed his way inside a small hole in search of his dog, and was startled to find bones, coins and other metal objects on a rising sediment floor. Joseph Jackson, a keen amateur archaeologist, investigated further on 28th June 1838, while Queen Victoria was presumably much more comfortable in her coronation chair inside Westminster Abbey. 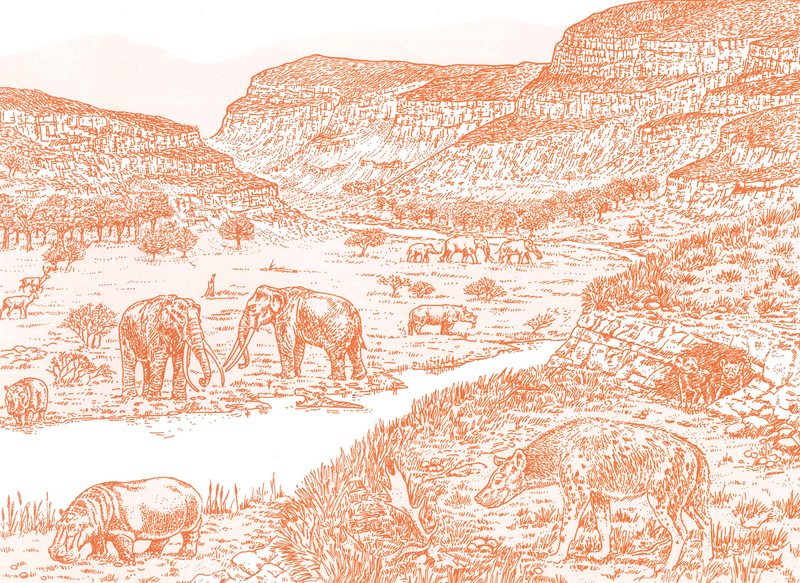 The archaeological finds are legendary: everything from Romano-British artefacts to the fossilised bones of hippos and elephants over 120,000 years old. At this time the Dales lay basking by tropical seas near the equator, and the environs must have resembled a prehistoric safari park. Recent work has shown that many bones were dragged into the cave by hyenas, and also that people were hunting reindeer as long ago as 12,500 BC. This barbed harpoon point is made from deer antler and was found during the 19th century excavations of Victoria Cave. The tip is broken. 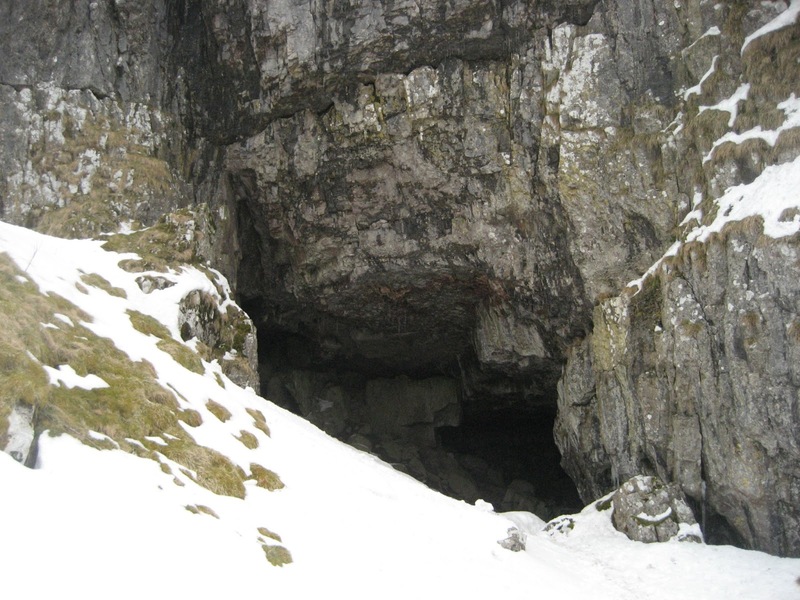 It dates to around 11,000 years ago and it probably arrived in the cave embedded in a scavenged or dying animal that had been hunted by the first known inhabitants of the Yorkshire Dales. An antler rod and ‘lance point’ were also found. The large entrance we see today is artificial, with Horner’s original entrance up to the right. 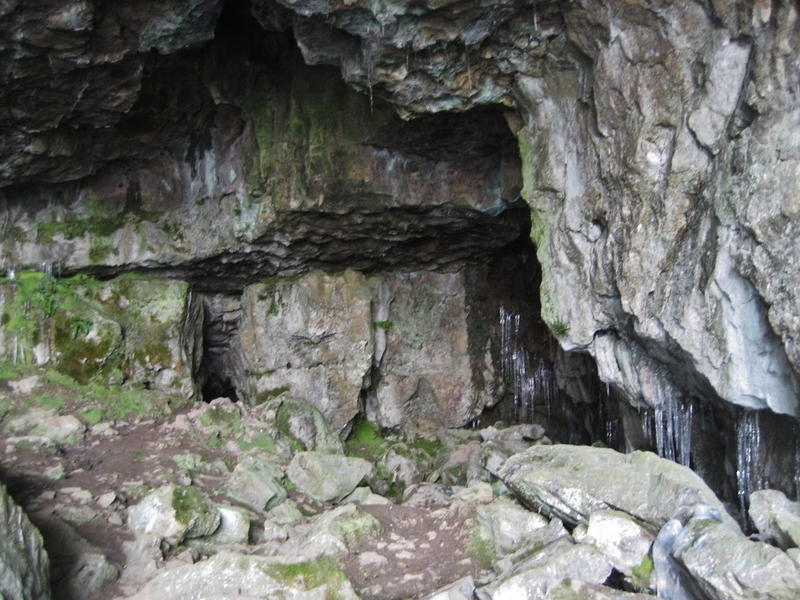 The Main Chamber is natural, but has been completely opened up by excavation of glacial sediment, and the spoil heap can be seen on the approach to the entrance. 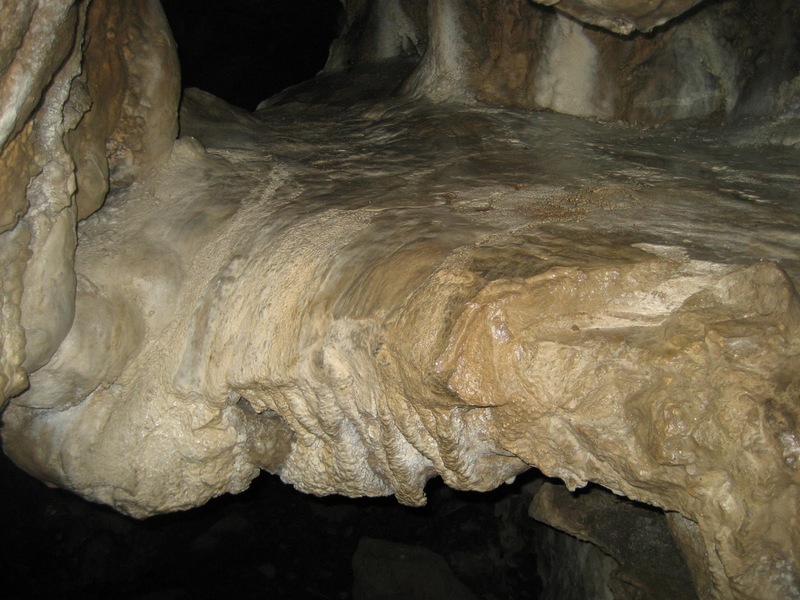 The deposits inside remain extremely delicate and the cave is well known for its varved clay features – beautifully layered sediments laid down when the cave was filled by meltwater during cold stages between the major glaciations. There are also many fine calcite features and gour pools. Close by lie the similarly truncated Jubilee Caves (SD837655) – named for the Silver Jubilee of George V in 1935, when they were explored by local amateur archaeologist Tot Lord. 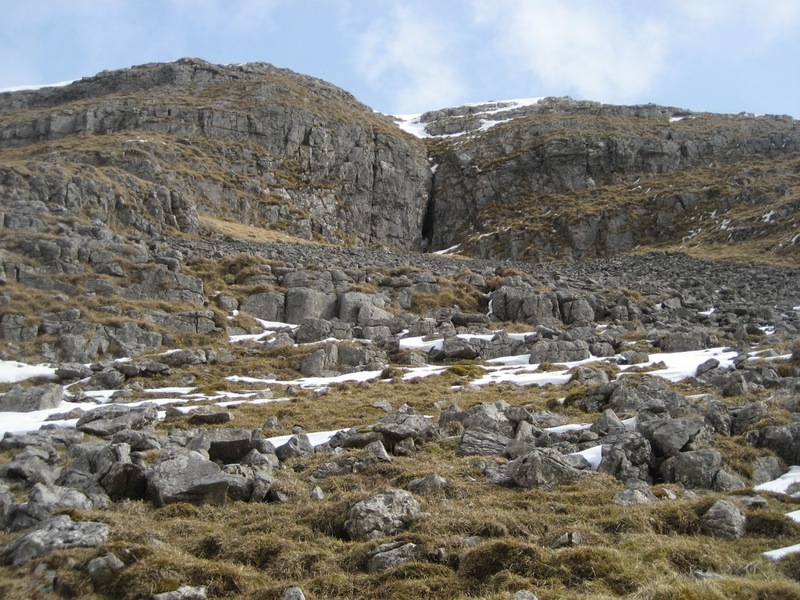 Albert, Brentscar and Wet Caves are further caves along the scar – containing short length of rift passage that once carried water from long-vanished sinks into the valley below.